The NL wild-card game was shaping up to be a duel for the ages. But in the playoffs, no one -- not the Mets' Noah Syndergaard, not anyone -- can hold a candle to Giants ace Madison Bumgarner. 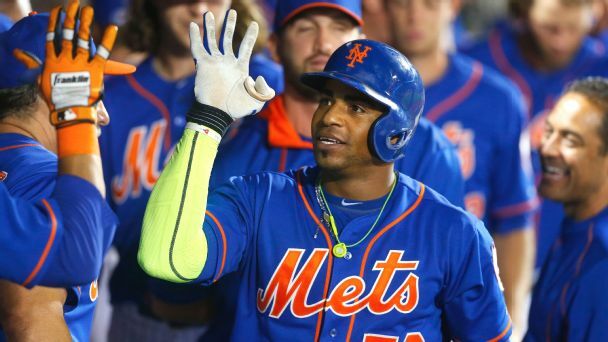 MLB rumors roundup: Cespedes' decision coming soon? Today's roundup examines the top suitors for Yoenis Cespedes as his free agency appears to be nearing an end; plus notes on Austin Jackson and others. 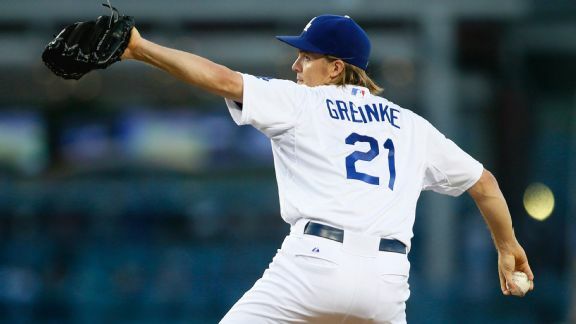 The Dodgers, Red Sox, Giants, Astros and Royals have the most intriguing situations -- for different reasons -- to monitor this offseason. 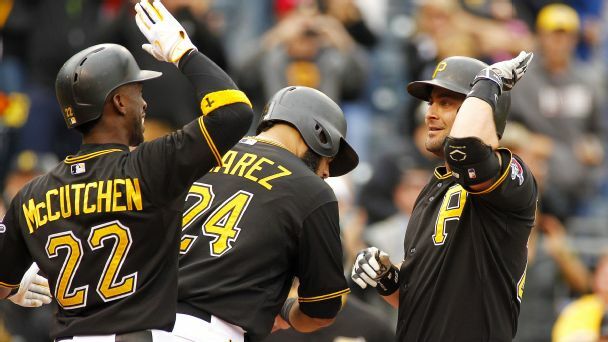 2015 MLB Playoffs: How far will the Pirates go? If the Pirates can get past Jake Arrieta in the wild-card game and then the Cardinals in the NLDS, they can beat anyone, anywhere. 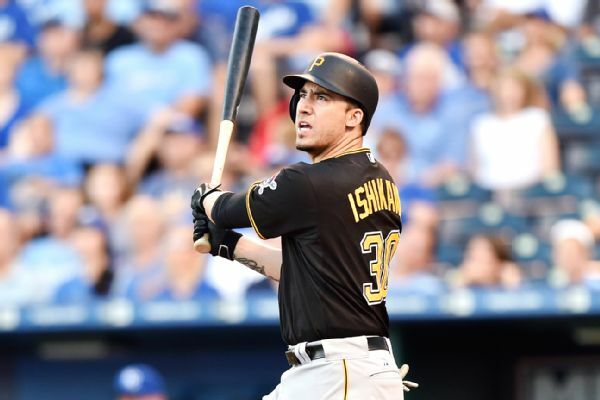 The Pittsburgh Pirates reinstated Travis Ishikawa from the 15-day disabled list, manager Clint Hurdle said before Monday's game in Cincinnati. 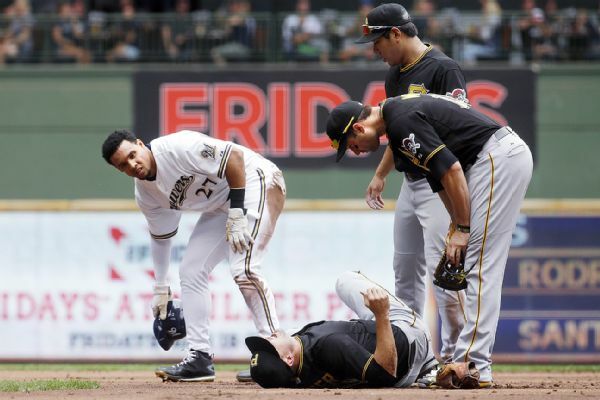 The Pittsburgh Pirates activated shortstop Jordy Mercer from the disabled list on Sunday and placed first baseman Travis Ishikawa on the 15-day DL with a lower back strain. Albert Pujols mashed three home runs on Monday to pass Mike Schmidt and reach No. 15 on the all-time list. 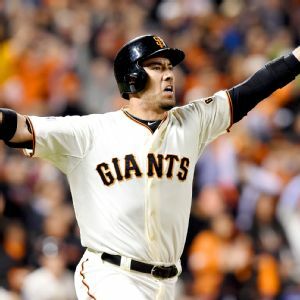 First baseman Travis Ishikawa was claimed by the Pittsburgh Pirates on Sunday a day after he had been placed on waivers by the San Francisco Giants. 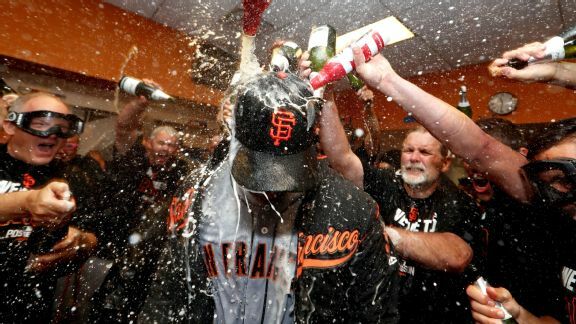 The San Francisco Giants have designated postseason star Travis Ishikawa for assignment. 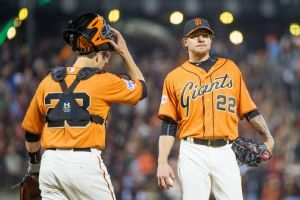 The team also activated pitcher Jake Peavy and placed right-hander Tim Hudson on the DL. 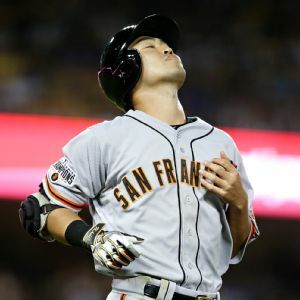 San Francisco Giants outfielder Nori Aoki will miss at least two weeks after X-rays revealed a small fracture in his right fibula, manager Bruce Bochy said.